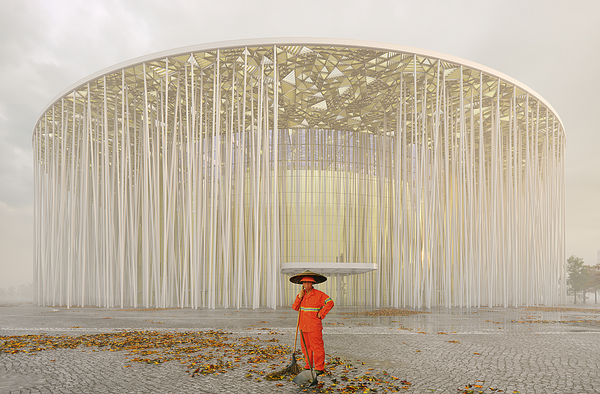 London based practice Steven Chilton Architects (SCA) were inspired by one of China’s largest bamboo forest in the design of the 2,000-person capacity Wuxi Show Theatre in Wuxi, China. 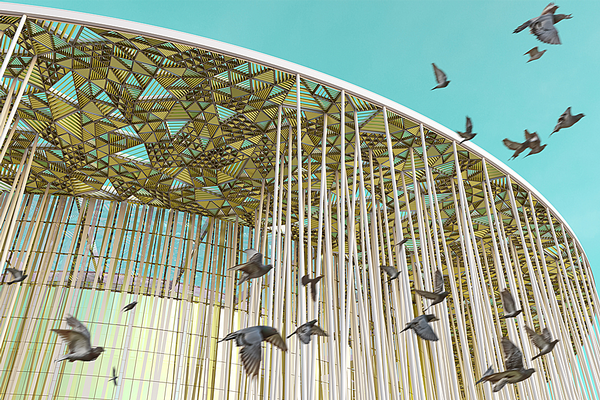 The theatre uses tightly packed white columns – inspired by the bamboo forest in the Sea of Bamboo national park in Yixing – and a canopy made from gold anodised aluminium louvers – to simulate the appearance of dense undergrowth. 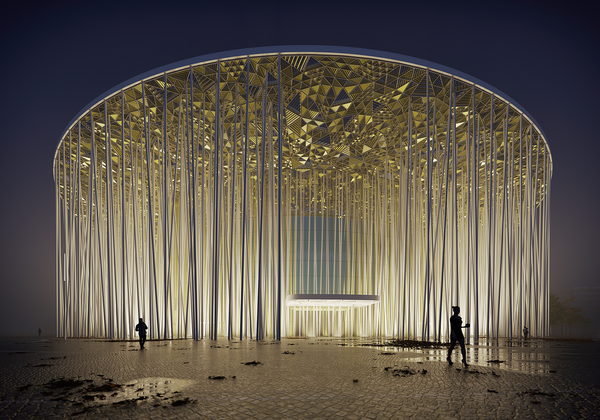 Set to open in 2019, the building will accommodate The House of Dancing Water, a water show by Belgian stage director Franco Dragone. 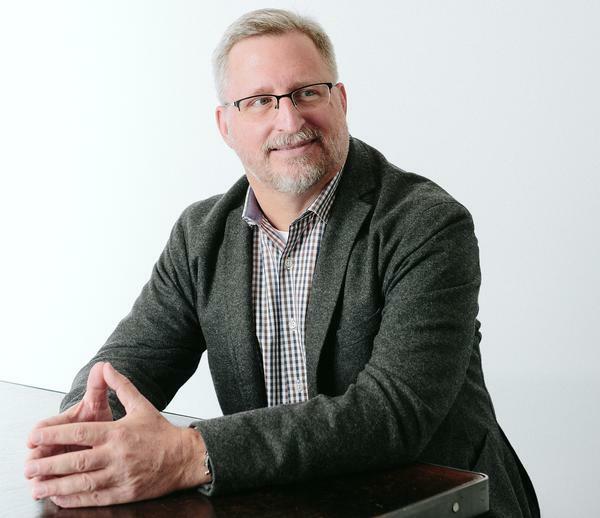 Steven Chilton speaks to CLAD about the inspirations behind the design. What do you see as the most structurally challenging aspect of the Wuxi Theatre project? Our primary goal was to keep the columns as slender as possible; the aesthetic success of the project would be severely compromised if we failed in this regard. We set out to fully support the shade canopy with the forest of columns, however, due to time constraints with the build, it became necessary for it to be largely self-supporting. Consequently, the columns are not required to work as hard, which has allowed us to reduce their diameter to 300mm – something of an achievement given they are 33m in length. 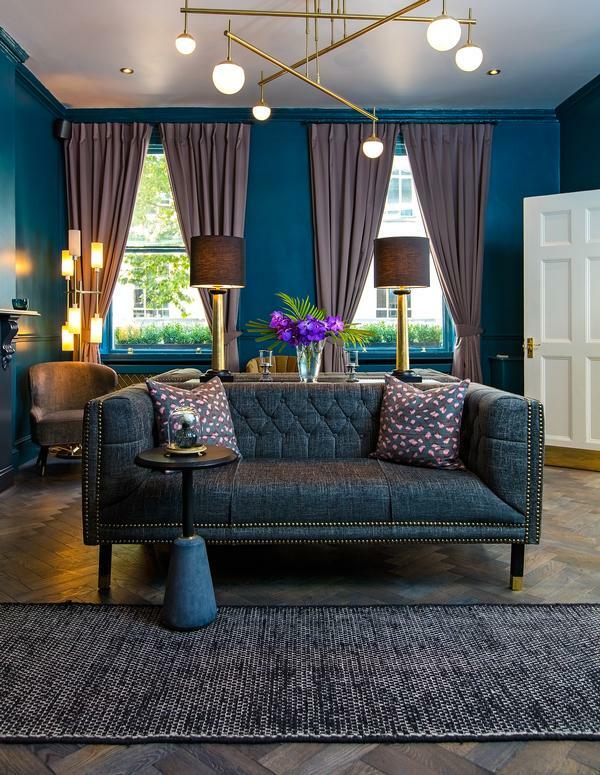 Can you tell us more about how the team employed ‘swarm intelligence’ for this project? To choose the final columns distribution we had to consider many factors, including the minimum free distance needed for each column, the ground floor boundaries, security routes and our desire to maximise the covering effect of the facade behind. Due to the complexity of the problem we choose to code an emergent multi-agent system that would allow us to optimise all these input parameters. Starting from Craig Reynolds` Boids simulation we added some boundary constraints in order to respect the usable area requested and guarantee the creation of safe routes. Then we added a specific feature to optimise the general distribution and increase the overall covering effect of the columns. For each simulation frame, the system evaluates the visual permeability and each agent moves the associated column with the goal of reducing this global parameter. Why did you decide to use white columns? Our client is interested in creating architecture with a broad appeal and is attracted to concepts that embody recognisable elements of local culture. Our challenge, as architects interested in modern, minimalist, generative design, has been to find an approach that delivers the essence of a local cultural reference without mimicking it. We purposefully seek to avoid designing in the mannered, literal sense, instead favouring an approach to materials and structure that seeks to identify geometries and combinations that hold the potential to abstractly evoke the central theme. This generative approach to design enables us to build in factors such as structural efficiency, repetition of nodal geometry and the reduction of material waste. In the best instances, it leads to abstract effects that are more resonant with the central theme because we employed these various optimisations. The distribution and orientation of the louvres in the shade canopy are a good example of this. The organic sense of randomness we’ve achieved is largely the result of a variety of parameters that were fed into the algorithm to maximise material efficiency and the distribution of reflected light and to ensure year-round shade over the curtain wall. What do you expect to be the most impressive element of the theatre? We hope visitors and users will enjoy the experience of moving through the forest of columns and will consciously (or unconsciously) appreciate the simplicity and efficiency of the architecture that surrounds them. Certainly, at night, the theatre should be a magical place to be. We’ve taken a simple approach to the lighting whereby the columns are mostly backlit. We hope this will give the structure an iridescent, lantern-like quality. Client: Sunac China Holdings Ltd.